I am up to my tiara in beads, crystals and clasps. My printer has been singing, tossing out page after page of instructions. I am getting ready for the Bead Cruise. I can't see my beadroom floor or my beading table but in my mind's eye I can see white sandy beaches and feel the ocean breezes. 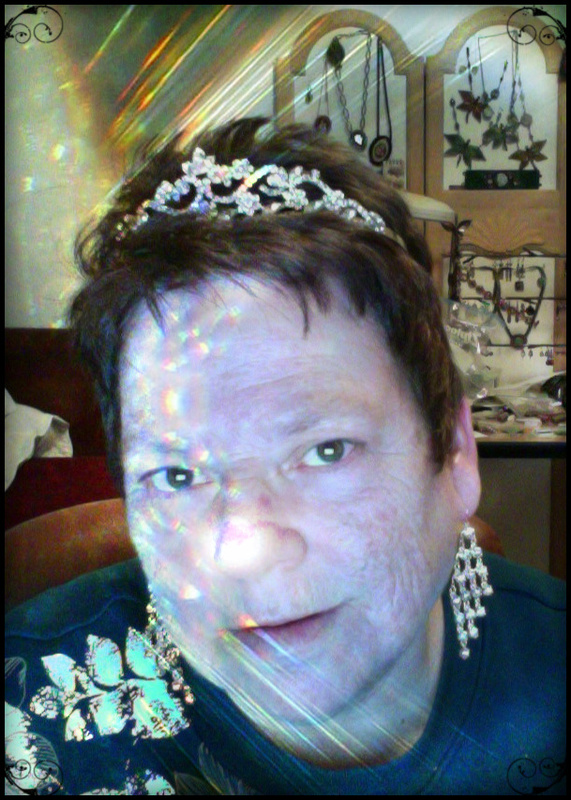 I will have a chance to dress up with my tiara. There will be a cocktail party with prizes. I am going as Queen Wanna Bead. My dress will be a little different but than so is my Queen of Denial and the Queen of Paradise. The countdown begins. 15 days and 20 hours! Did you know there is an app for that. It's called Ship Mate - Royal Caribbean. You can find it on iTunes or the app store on your apple devices. Wishing your Highness a wonderful day! You look great in your tiara! Cathy we are going to have a grand time! I'm so excited for you! Have a great time. You will be the best dressed Princess! Beverly, is it that time again so soon! I'm excited to hear all about how it goes, have a Grand Duchess time! I guess you are having a ball pretty princess in your beautiful tiara...have fun!! !